This is a blog post I hoped I would never have to write. 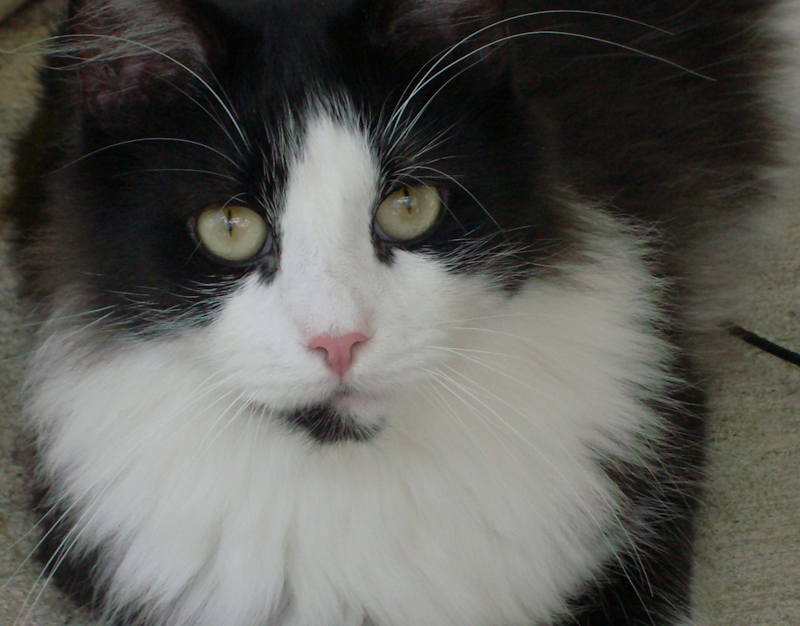 It was Thursday morning that my beloved cat Sylvester went missing. My brother let him out before I woke up and I called for him only minutes later. I called for him all day. I talked to my neighbours. I searched throughout the neighbourhood. I put up posters. Sylvester still has not returned. To say I am heartbroken would be an understatement. I am not ashamed that I have been crying on and off the past two days. I literally raised Sylvester and his brother Socks up from kittens. Sylvester and his litter mates were born on April 3 2012. He was less than a day old when he received his name. Seeing that he was a male tuxedo cat, I decided to name him, "Sylvester", after the Warner Bros. cartoon character of the same name. Sylvester was always the most adventurous and curious of his litter. He was the first of his litter to leave his nest and the first of his litter who wanted to go outside. Sadly, he also had a tendency to want to explore, much to my chagrin. More so than our other cats, Sylvester loved cat treats. He would actually beg for one of a morning and one before I went to bed. He also loved toys, particularly his feather wand and his many catnip mice. Like most cats Sylvester loved boxes, and he would actually fight with the other cats over who got to sit in any given box. Most importantly, Sylvester was a very loving cat. He enjoyed sitting on me and being held. He slept with me at night. He would always come to comfort if I was feeling sad or down. He purred louder than most of the cats I have known in my life. You could literally hear him clear across the room. Many people who have never had a pet might no understand, but Sylvester was like family to me. I have to confess that I love him much more than many of my relatives. My grief right now is as great as if I had lost a relative or close friend because from my standpoint I have. Right now I do not know if Sylvester is alive or dead. I am certainly hoping that he is alive. I am hoping that someone may have taken him in and that he will return to me soon. As it is I miss him terribly. Today it is nearly unknown for a British show to air on one of the American broadcast networks. What is more, this has been the case for the past several decades. This was not always the case, however, as in the Fifties and Sixties several British shows aired on the American broadcast networks. The peak for British shows on the American networks was in the mid-Sixties, although they would continue to appear throughout the rest of the decade. The 1968-1969 season would be a turning point for British shows on the American broadcast networks, as the two most popular British shows in the United States in the Sixties both ended their runs: The Avengers and The Saint. Despite this a few more British shows would air on the American broadcast networks in the late Sixties and early Seventies. In fact three British shows would air in the 1970-1971 season, all of them on NBC. The first of these shows actually ended before it even aired in the United States. Strange Report could be described as a Transatlantic production as it was co-produced by ITC in Britain and Arena Productions in the United States. Arena Productions had earlier produced Dr. Kildare and The Man From U.N.C.L.E. The initial plan was that the first half of the series Strange Report would be set in the United Kingdom and the second half in the United States. For reasons discussed below, this never happened. Strange Report starred Anthony Quayle as Adam Strange, a former criminologist for the Home Office who solved the most bizarre of mysteries in London. He had his own laboratory in which he could use the latest in forensic science to investigate cases. He was assisted by a young American researcher Hamlyn Gynt (played by Kaz Garas), as well as his neighbour Evelyn McClean (played by Anneke Wills), and Professor Marks (played by Charles Lloyd-Pack). Overall the show had a more realistic tone than many of the British action/adventures shows of the Sixties, and touched upon such issues as racism, human trafficking, and student protests. 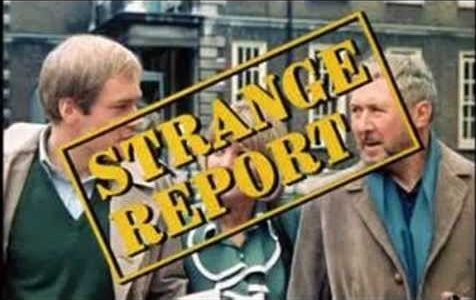 Strange Report debuted in the United Kingdom on ITV on September 29 1969. Sixteen episodes were produced, but unfortunately that would be all that would be produced. Star Anthony Quayle decided not to continue with the show and so Strange Report ended. Regardless, it aired as a mid-season replacement on NBC. It debuted on January 8 1971 in the United States. Along with The Strange Report and Kraft Music Hall Presents: The Des O'Connor Show, the second British show to air on NBC in the 1970-1971 season would be a change from the many British action/adventure shows that had aired on the American broadcast networks in the Sixties. While The Strange Report was a mystery anthology and Kraft Music Hall Presents: The Des O'Connor Show was a variety show, From a Bird's Eye View was a situation comedy. Like many of the British shows that aired on the American broadcast networks in the Sixties, From a Bird's Eye View was a Transatlantic production. It was in 1969 that Lord Lew Grade of ITC visited the United States and asked legendary character actor and television producer Sheldon Leonard to produce a situation comedy in England that would star Millicent Martin. Of course, Sheldon Leonard was already an established name when it came to producing situation comedies, having produced both Make Room for Daddy and The Andy Griffith Show. Millicent Martin had been the singer of topical songs on That Was the Week That Was, as well as the star of her own show in the United Kingdom, Mainly Millicent. From a Bird's Eye View would be produced by both ITC and Sheldon Leonard Productions. 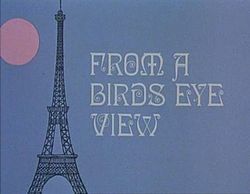 Before settling on From a Bird's Eye View, the titles Meet Millie and Up She Goes were considered for the show. From a Bird's Eye View centred on a harebrained British stewardess, Millie Grover, and her sharp witted American co-worker, Maggie Ralston, both of who worked for International Airlines. The role of American stewardess went to Patte Finley, who was partly selected for her height. At 5 foot 3 she would not tower over Millicent Martin, who stood only 5 foot 1. From a Bird's Eye View would take some time to reach American airwaves. According to Charles Witbeck in an article in the April 4 1971 issue of The Toledo Blade, From a World's View was planned to debut in the fall 1969-1970 season. It lost a a spot on NBC's 1969-1970 season in favour of the sitcom The Debbie Reynolds Show. It was then planned that it would be a mid-season replacement during the 1969-1970 season, but for whatever reason that did not happen. It was then in consideration for a spot on NBC's 1970-1971 fall schedule. It was passed over in favour of the short lived sitcom Nancy. In the meantime From a Bird's Eye View debuted in the United Kingdom on ITV on September 18 1970. Finally, on April 5 1971, nearly two years after it had been made, From a Bird's Eye View debuted in the United States on NBC. Ultimately From a Bird's Eye View would not prove to be a success in the United Kingdom or the United States, although it would see some success on the international market. Regardless, a second series would not be made. The third British show to air on NBC in the 1970-1971 would be a summer replacement. The Des O'Connor Show was a popular variety and talk show that debuted in the United Kingdom on ITV on May 29 1963. Hosted by comedian Des O'Connor, the show proved very popular in the United Kingdom over the years. During the 1970-1971 season NBC imported The Des O'Connor Show as a summer replacement for Kraft Music Hall. In the United States it aired under the title Kraft Music Hall Presents: The Des O'Connor Show. Kraft Music Hall Presents: The Des O'Connor Show debuted in the United States on June 21 1971 on NBC. While Kraft Music Hall Presents: The Des O'Connor Show would only run during the summer of 1971 in the United States, this would not be the end of The Des O'Connor Show. It continued until December 28 1973 in the United Kingdom. It would be followed by another variety show hosted by Des O'Conner on ITV in 1974, Des O'Connor Entertains. Des O'Conner Entertains ran until 1976. By 1977 Des O'Connor would have yet another show, Des O'Connor Tonight, which aired on BBC Two for years before shifting to ITV. It would last until 2002. It would seem that even a lack of success in the United States would not prevent Des O'Connor from having a show. The 1971-1972 season would see two different British shows debut on American broadcast networks. What is more, both of them would actually debut on the fall schedule. The first of these was another Transatlantic production. In fact, like From a Bird's Eye View, Shirley's World would be produced by Lord Lew Grade's ITC and Sheldon Leonard Productions. And like From a Bird's Eye View, Shirley's World was also a sitcom. Shirley's World was shot mostly in the United Kingdom, but starred American film star and dancer Shirley MacLaine. Miss MacLaine played a photojournalist with John Gregson as her boss, the editor at World Illustrated magazine. Although largely a British production, in many respects Shirley's World was part of a cycle unfolding on the American broadcast networks with major stars appearing in situation comedies. The cycle started with The Doris Day Show in the 1968-1969 season. It was followed by The Debbie Reynolds Show in the 1969-1970 season, and The Mary Tyler Moore Show, The Partridge Family (starring Shirley Jones), and The Smith Family (starring Henry Fonda) in the 1970-1971 season. Despite featuring a major star, Shirley's World would prove to be a failure. The series debuted in the United States on September 15 1971 on ABC. It had the misfortune to be scheduled against the last half hour of Medical Centre on CBS (which ranked #13 in the Nielsens for the season) and The NBC Mystery Movie on NBC (which ranked #14 in the Nielsens for the season). 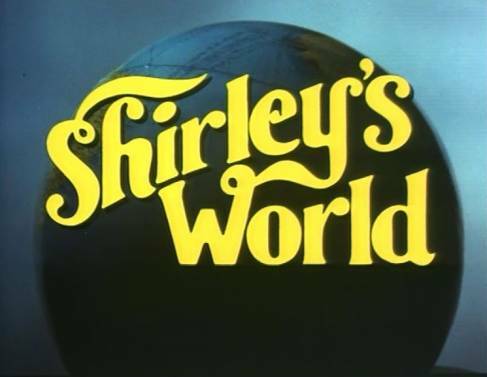 With extremely low ratings ABC cancelled Shirley's World at midseason. Curiously it aired on ITV after it had ended its run in the United States. It debuted in the United Kingdom on April 7 1972. The second British show to debut on an American broadcast network would also be the last major adventure series to come out of Lord Lew Grade's ITC. The Persuaders! was created by Robert S. Baker, who had produced the entire run of the show The Saint. In fact, The Persuaders! largely grew out of The Saint. The show took its inspiration from the episode "The Ex-King of Diamonds", which had aired during the final series of The Saint. In "The Ex-King of Diamonds" Simon Templar (AKA The Saint) teamed up with a Texas oilman and adventurer named Rod Huston (played by Stuart Damon). Together the two of them discover a plot by a deposed king to amass a fortune to regain his throne through gambling. The Persuaders followed the lead of the episode of The Saint "The Ex-King of Diamonds" in teaming a British hero up with an American one. The Persuaders! was arguably the most ambitious action/adventure show ever produced by Lord Lew Grade's ITC. It cost £2.5 million, making it the most expensive show ever made in the United Kingdom up to that time. It was also the first ITC show that was shot largely on location in Europe, as opposed to the studio backlots utilised by every previous ITC show. The Persuaders! also starred two major stars. Roger Moore and Tony Curtis. It would be the first television series in which film star Tony Curtis ever starred. The Persuaders! starred Roger Moore as Lord Brett Sinclair, a British peer who attended both Harrow and Oxford, served in the British Army, and formerly drove race cars; and Tony Curtis as Danny Wilde, who had grown up in the slums of New York, served in the United States Navy, and then made millions of dollars in oil. The two men did not particularly like each other when they first met and tore up a hotel bar room on the French Riviera during a fight. The two men were arrested and were then given a choice by retired Judge Fulton (played by Laurence Naismith): they could either spend ninety days in jail or help him right wrongs. 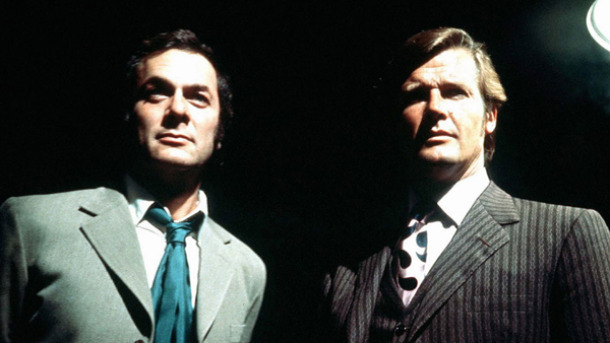 The Persuaders then followed the adventures of Lord Brett Sinclair and Danny Wilde, both the cases they took on behalf of Judge Fulton and those they took on their own. The Persuaders! debuted in the United Kingdom on ITV on September 17 1971. It debuted in the United States on the following day, September 18 1971, on ABC. The Persuaders! did very well in the United Kingdom, where it ranked in the top twenty most watched shows. It was also successful internationally. It aired in over fifty different countries and was very popular in Continental Europe. Unfortunately it would not do well in the United States. Scheduled on Saturday night at 10:00 Eastern, The Persuaders! generally came in third place to Mission: Impossible on CBS and The NBC Saturday Night at the Movies on NBC. At mid-season ABC moved it to Wednesday night--ironically in the time slot vacated by Shirley's World. There it fared no better. Its last episode on ABC aired February 25 1972. Despite its success in the United Kingdom and elsewhere, its failure in the United States meant there would not be a second series. It would be the 1972-1973 season that would see the last hurrah for British shows on the American broadcast networks in prime time. Like the successful This is Tom Jones before it, The Julie Andrews Hour was a variety show. It was Lord Lew Grade who conceived of a variety show starring Julie Andrews. Lord Grade had first met Julie Andrews when she was only six years old and he was a talent agent and she was a child performer. He had wanted to sign Miss Andrews when she was fourteen, but talent agent Charles Tucker had signed her first. Having long thought Miss Andrews was extremely talented, Lord Grade thought a variety show starring her could be a success. It was then that Lord Lew Grade contacted Julie Andrews's agent, Arthur Park, in order to persuade her to star in a television series. Lord Grade made Julie Andrews an extremely lucrative offer. She would make twenty four episodes of the TV series with an option for five years more. The fee for the first two years alone was $2 million. Lord Grade also guaranteed a feature film that would be directed by her husband Blake Edwards and shot in Europe. It was perhaps the mention of a feature film which persuaded Julie Andrews to accept the deal. Although she agreed to the television show, Miss Andrews still viewed herself as a film star. The show was produced by Nick Vanoff, who had produced episodes of The Perry Como Show as well as the majority of the run of The Hollywood Palace. A number of big name stars appeared on the show, including Harry Belafonte, Jack Benny, Diahann Carroll, Sammy Davis Jr., Angela Lansbury, Donald O'Connor, Carl Reiner, and the Smothers Brothers. The Julie Andrews Hour debuted in the United States on ABC on September 13 1972. It debuted in the United Kingdom only a few days later on September 16 1972. 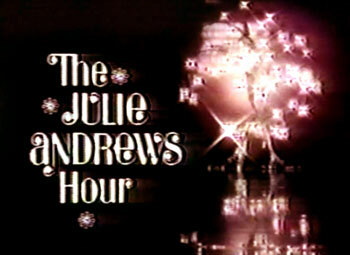 Unfortunately, despite the star power of Julie Andrews and many of her guest stars, The Julie Andrews Hour would not be a success in the United States. Scheduled against Cannon on CBS (which ranked #14 in the ratings for the season),the ratings for The Julie Andrews Hour were disappointing. In January 1972 ABC moved The Julie Andrews Hour to Saturday where its competition was even worse. The Julie Andrews Hour found itself scheduled opposite The Mary Tyler Moore Show and The Bob Newhart Show on CBS. Its ratings dropped and ABC cancelled The Julie Andrews Hour after 24 episodes. While The Julie Andrews Hour did poorly in the ratings, it did win seven Emmy awards and was nominated for two more. Perhaps because of this ABC gave Miss Andrews five TV specials that would be aired between 1973 and 1975. The Julie Andrews Hour would be the last British show in the Seventies to air on an American broadcast network in prime time. This is not to say that American commercial television was entirely without British shows. Space 1999 and The Muppet Show (both produced by Lord Lew Grade's ITC) aired widely in syndication in the United States. ITC produced two religious themed mini-series, Moses the Lawgiver and Jesus of Nazareth, both of which aired on American broadcast networks (the former on CBS and the latter on NBC). A continuation of a classic British show of the Sixties and a reboot of another would air on CBS late in the Seventies. The New Avengers was a continuation of The Avengers which teamed John Steed (played by Patrick Macnee) with two new partners. It first aired on CBS in 1978 as part of its CBS Late Movie. While The New Avengers only ran for two series, CBS would repeat the series frequently throughout the Eighties. Return of the Saint was a reboot of The Saint with Ian Ogilvy as Simon Templar. Return of the Saint also aired on The CBS Late Movie, starting in 1979. It ran for only one series. Both The New Avengers and Return of the Saint had the unexpected effect of renewing interest in The Avengers and The Saint in the United States. The Julie Andrews Hour marked the end of nearly twenty years of British television shows regularly appearing on American broadcast network schedules. While The Vise aired on ABC before it, the debut of The Adventures of Robin Hood on CBS marked the beginning of nearly two decades during which it was rare that at least one British show did not air on one of the American broadcast networks during any given season. In fact, British shows would play a significant role in at least two cycles in American television shows. It was The Adventures of Robin Hood that spurred a cycle towards swashbuckler shows that overtook both sides of the Atlantic, although mostly in syndication in the United States. British entries in this cycle included The Adventures of Sir Lancelot and The Buccaneers. American entries in the cycle included Zorro and Tales of the Vikings. British shows also played a significant role in the spy cycle of the Sixties in the United States. Arguably the cycle had begun on British soil with Danger Man and The Avengers. It was a combination of the James Bond movies and the American show The Man From U..N.C.L.E. that would bring the spy craze to the United States. Some of the most popular spy shows to air in the United States in the Sixties were British shows: Danger Man (the hour long version under the title Secret Agent), The Avengers, and The Prisoner. Of course, the sorts of British TV shows that aired on the American broadcast networks in the Fifties and Sixties would change over time. In the Fifties most British TV shows aired on the American broadcast networks tended to be either crime dramas or swashbuckler shows. By the Sixties the British shows aired on the American broadcast networks had shifted towards spy shows and adventure shows. Towards the end of the Sixties and the beginning of the Seventies both variety shows and sitcoms produced in Britain appeared briefly on the American networks. While most people today tend to think of the British shows that aired on American television as mostly being spy shows, that was only the case for a period in the Sixties. As to why the American broadcast networks stopped airing British shows, that is difficult to say. It is probably due to a number of factors. It is perhaps no coincidence that after 1971 only a very few British shows aired on the American broadcast networks. After all, it was at the start of the 1971-1972 season that the Prime Time Access Rule enacted by the Federal Communications Commission took effect. The Prime Time Access Rule grew out of the FCC's concern over the dominance of the broadcast networks in television production and programming. The Prime Time Access Rule was then meant to increase diversity on local stations, allowing them to air different sorts of shows in time slots that once belonged the networks. To this end, the Prime Time Access Rule restricted network programming to 8:00 PM Easterm/7:00 PM Central to 11:00 PM Eastern/10:00 PM Central on most nights. This meant that the networks lost several hours' worth of time slots. With fewer time slots to fill, the American broadcast networks did not have to order as many shows as they once had. Of course, when it came to ordering shows it would be no surprise if the American networks preferred shows produced in the United States to those produced in Britain. Another factor in British shows no longer airing on the American broadcast networks since the early Seventies may have been differences in the standards British broadcasters and the American networks had with regards to violence. Following the assassinations of Martin Luther King Jr. and Robert Kennedy in 1968, the American broadcast networks were faced with renewed outcries over violence on television. The networks then severely cut the amount of violence contained in television shows. This presented a problem for action/adventure shows produced in Britain, which sometimes contained a greater amount of violence than their American counterparts. Indeed, in the January 3 1969 issue of Time magazine, The Avengers was referred to as "a festival of sado-masochism and murder." For the entirety of the Seventies the American broadcast networks would be very restrictive with regards to violence, even as British shows grew more violent than ever. In the United Kingdom the Seventies was the era of such ultraviolent TV shows as Van der Valk, The Sweeney, and The Professionals. Perhaps there is no better example of the differences between the attitudes towards violence of the American networks and British broadcasters in the Seventies than CBS's treatment of The New Avengers, a show that was much less violent than either The Sweeney or The Professionals. According to Ray Austin, who was a stunt arranger on The Avengers and directed several episodes of The New Avengers, violence was the reason that CBS chose to air The New Avengers in a late time slot rather than in prime time. With the American broadcast networks severely limiting the amount of violence in television shows, it is very doubtful that they would have considered airing British action/adventure shows of the Seventies that were often much more violent than the average American show of the time. It would not be until the mid-Eighties that the American broadcast networks would become less restrictive with regards to violence, by which time they had not aired a British show in primetime in years. Another factor that may have played a role in the American broadcast networks ceasing to air British shows with any regularity may have been the possibility that they simply were not that committed to airing British shows to begin with. While in the Fifties most British shows debuted in the fall, by the Sixties the American broadcast networks were more likely to use British shows as mid-season or summer replacements. The half hour version of Danger Man aired as a summer replacement show on CBS. The Baron made its debut on ABC as a mid-season replacement. The Saint spent its entire time on NBC as either a summer or mid-season replacement. The Avengers began its run on ABC as a summer replacement show and was then a mid-season replacement before finally earning a spot on ABC's fall schedule. For most of the Sixties and into the Seventies, the American broadcast networks seemed to treat British shows as filler, something to put in time slots when they had nothing else. This would seem to show a lack of faith on the part of the American broadcast networks in British shows to attract an audience. If that was the case, it should be little wonder that the American broadcast networks stopped airing British shows. Of course, the biggest factor in the American broadcast networks ceasing to air British shows may well have been ratings. Only a very few British shows that aired on the American broadcast networks in the Fifties and Sixties could be considered hits. While some of them developed very loyal followings in the United States, it is perhaps notable that no British shows ranked in the top twenty highest rated series for any given season. The fact that no British shows became smash hits in the ratings on the American broadcast networks was probably complicated by a number of failures in the late Sixties and early Seventies. After the relative success of Danger Man, The Avengers, The Saint, and This is Tom Jones, there were such low rated shows as From a Bird's Eye View, The Persuaders!, Shirley's World, and The Julie Andrews Hour. It should be little wonder, then, that the American broadcast networks showed no interest in Space 1999 or The Muppet Show. From 1955 to 1973 twenty six different shows of British origin aired on the American broadcast networks. Many of these shows would become classics that would continue to air in the United States in syndication for decades, including The Adventures of Robin Hood, Danger Man, The Avengers, The Saint, and The Prisoner. In contrast to the Fifties and Sixties, the following decades would see almost no British shows aired on the American broadcast networks. That having been said, it seems possible that in the coming years this could change. In the past several years British television shows have seen a rise in popularity in the United States. Downton Abbey, Sherlock, and Call the Midwife (airing on PBS in the United States), as well as Doctor Who on BBC America, have all developed loyal following in the United States. It would seem possible that if more British shows catch on with audiences in the United States, the American broadcast networks will have to take notice. If they do, we might once more see British shows airing on the American broadcast networks as they once did in the Fifties and Sixties. Today it is nearly unknown for a British show to air on the American broadcast networks. What it is more, this has been the case for decades. This was not always the case, however, as in the Fifties and Sixties the American broadcast networks regularly aired shows that had originated in the United Kingdom. The appearance of British shows on American broadcast network schedules reached its peak in the 1965-1966 season, when no less than four British shows aired on American networks (Secret Agent AKA Danger Man, The Baron, The Avengers, and Court Martial). While the peak for British shows on the American broadcast networks may have been in the 1965-1966 season, the late Sixties would see the debut of some of the most successful British shows to air on the networks. Indeed, it was during the 1966/1967 season that The Saint would finally air on an American broadcast network. Except for The Avengers, The Saint was arguably the most successful British show to air on the American networks in the Sixties. Of course, when The Saint finally debuted on an American network it was hardly a new show. It had begun production in 1962 and debuted in the United Kingdom on ITV on October 4 1962. The Saint was not even new to American shores. It had entered syndication in the United States in 1963. 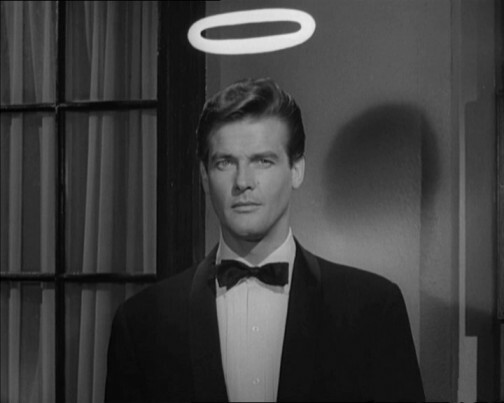 The TV show The Saint was based on the character of Simon Templar, also known as "The Saint". The Saint first appeared in Leslie Charteris's novel Meet the Tiger in 1928. He is essentially a "Robin Hood" type figure who uses his considerable skills as a con man and thief to battle the "ungodly" (as he calls criminals who prey upon the innocent). Simon Templar proved to be one of the most successful creations of the 20th Century. He appeared in numerous novels and short stories by Leslie Charteris, as well as several movies, and four different radio shows. It was perhaps inevitable that Simon Templar would eventually find his way to television. It was in 1961 that film producers Robert S. Baker and Monty Berman decided to make a TV series based on the character of The Saint. Fortunately, the two men were acquainted with director John Paddy Carstairs, who had directed the 1939 film The Saint in London and, more importantly, also happened to be a friend of Lesile Charteris. Mr. Carstairs was able to arrange a lunch at which the two producers could meet Leslie Charteris. Fortunately, they were able to convince the creator of The Saint to give them a three month option for a TV series. The proposed series for The Saint was pitched to Associated-Rediffusion (the ITV franchise that provided weekday programming for London), who turned it down due to the proposed series' projected budget of £15,000 per episode. Fortunately they were able to sell the proposed series to Lord Lew Grade of ITC. Robert S. Baker and Monty Berman then bought the television rights to The Saint from Leslie Charteris, with the condition that Mr. Charteris would have input on the show's scripts. As the star of The Saint Patrick McGoohan, who had just finished with Danger Man, was considered, but it soon became apparent that he would not be right for the part. He objected to the character becoming entangled with women, and also lacked the tongue in cheek sort of humour necessary for the show. Ultimately the role of Simon Templar would go to Roger Moore, who was already familiar on both sides of the Atlantic. He had already starred in the swashbuckler series Ivanhoe (shown in the UK on ITV and syndicated in the United States), the American adventures series The Alaskans, and one season of the popular Western Maverick (on which he played Beau Maverick). Arguably Roger Moore was perfect for the part. Aside from having the necessary sense of humour and no objections to the character becoming involved with women, he was already a fan of The Saint. Indeed, according Sir Roger Moore in his book Bond On Bond: Reflections on 50 years of James Bond Movies, he had earlier tried buying the television rights to The Saint himself. The Saint debuted on October 4 1962 on ITV in the United Kingdom. It proved extremely successful, so much so that it was second in popularity among male viewers only to wrestling. Lord Lew Grade offered The Saint to the American broadcast networks, only to have it rejected by all of them. In fact, Mort Werner, then senior vice president for programming at NBC, commented after viewing two episodes of the show, "I have never seen so much crap in my life." Needless to say, NBC would eventually change their minds on The Saint. With none of the American networks having bought the show, The Saint then entered first run syndication in the United States in 1963. It easily became the most popular syndicated show in the United States at the time. Curiously, among the stations that picked up The Saint in syndication was NBC's flagship station, WNBC in New York City. WNBC aired The Saint at 11:15 PM on Sunday night following their nightly news. The Saint proved phenomenally successful in the time slot. The Saint would also prove a success on NBC's stations in Chicago and Los Angeles. The success of The Saint on NBC owned stations was not an isolated case, as throughout the United States the show proved extremely popular. In the end The Saint would become one of the most successful syndicated shows of all time in the United States. After 71 episodes of The Saint nearly every one of Leslie Charteris's short stories had been adapted as episodes of the show. At the same time Robert S. Baker and Monty Berman's contract with Leslie Charteris was set to expire. There was a very real possibility that The Saint could end in 1965. A new contract with Leslie Charteris was then signed. Producer Robert S. Baker and star Roger Moore then formed a new company, Bamore, to produce a new series of The Saint in colour. As to Monty Berman, Mr. Baker's partner on the first 71 episodes of The Saint, he went onto produce The Baron. The move to colour would be one of the reasons that The Saint would finally land a spot on an American broadcast network schedule after several years in syndication. While NBC had rejected The Saint when it was initially offered to them by Lord Lew Grade, the network could hardly ignore its success in syndication. With the show now being shot in colour, NBC then bought The Saint. After six series and 118 episodes of The Saint Roger Moore decided it was time to quit playing Simon Templar. The final episode of The Saint aired in the United Kingdom on ITV on February 9 1969. The Saint ended its run on NBC on September 12 1969. In the end The Saint came in second only to The Avengers as the longest running British adventure series of the Sixties. And like The Avengers its reruns would persist in syndication in the United States for literally years. By the 1967-1968 television season the spy craze was coming to an end in the United States. 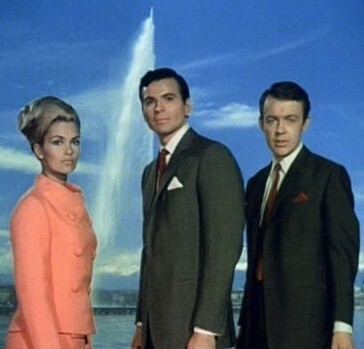 The Man From U.N.C.L.E., the series that had started the cycle towards spy shows, had dropped in the ratings during the 1966-1967 season. During the 1967-1968 season yet other spy shows, including I Spy and Get Smart, would falter in the ratings. While the latest James Bond film, You Only Live Twice, did well at the box office in 1967, several other spy films bombed that year, including Billion Dollar Brain, Casino Royale, Fathom, In Like Flint, and The President's Analyst. It should be little wonder, then, that the next British spy show to debut on an American broadcast network would not last long. In the United States Man in a Suitcase really did not have a chance. Man in a Suitcase was created by Dennis Spooner (a veteran of Gerry Anderson's Supermarionation shows, Doctor Who, and The Baron) and Richard Harris (who had written episodes of The Avengers, Adam Adamant Lives!, and Armchair Theatre). The show was originally going to be titled McGill after the show's protagonist and only continuing character. Man in a Suitcase centred on McGill (his first name was never given), a former American intelligence agent living in Britain. Forced to resign from American intelligence, McGill made a living as a troubleshooter for hire (at times a private detective, at other times a bounty hunter). Man in a Suitcase had a much grittier feel than many of the British adventure shows of the time, and the places that appeared in Man in a Suitcase were much more disreputable than the upscale ones featured on The Saint or The Baron. In many respects, Man in a Suitcase owed more to Sam Spade than Simon Templar. Early in the development of the show Jack Lord was considered for the role of McGill. Jack Lord had played Felix Leiter in Dr. No (1962) and starred in the TV show Stoney Burke. He would soon go onto lasting fame as Detective Steve McGarrett in Hawaii Five-O. Ultimately the role of McGill went to American actor Richard Bradford, who had studied at the Actor's Studio. After working several years on stage he was cast in a small role in Arthur Penn's film The Chase (1966). In turn Mr. Bradford's part in The Chase attracted the attention of Lord Lew Grade, and the actor was cast as McGill in Man in a Suitcase. 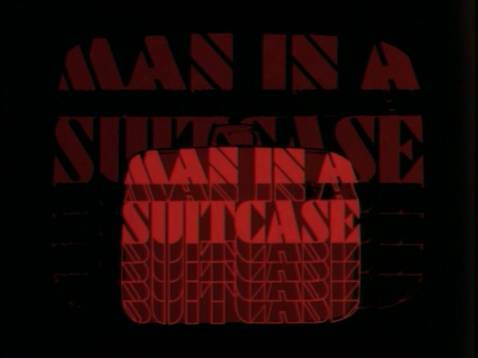 Man in a Suitcase was produced by Sidney Cole, a veteran of British film who had also produced the TV shows The Adventures of Robin Hood, The Buccaneers, Sword of Freedom, The Four Just Men, and the hour long version of Danger Man (aired in the United States as Secret Agent). In addition to Sidney Cole, several other people who had worked on the hour long version of Danger Man would work on Man in a Suitcase. Rose Tobias Shaw, who was the casting director on Danger Man, served in the same capacity on Man in a Suitcase. Several writers who wrote scripts for Danger Man wrote scripts for Man in the Suitcase as well, and the crew of Man in a Suitcase included cameramen, sound men, and set dressers who had worked on Danger Man. Man in a Suitcase debuted in the United Kingdom on ITV on September 27 1967. It debuted in the United States on ABC on May 3 1968. Man in a Suitcase proved popular in the United Kingdom, but that would not be the case in the United States. Although scheduled against rather weak competition on NBC (a low rated science fiction show titled Star Trek), it was scheduled against Gomer Pyle U.S.M.C. (which ranked #3 for the season) and the first half hour of The CBS Friday Night Movies (which ranked #15 for the season) on CBS. Ratings for Man in a Suitcase were then less than sterling and ABC cancelled the series. This meant that there would be no second series for Man in a Suitcase in the United Kingdom either. Sadly today Man in a Suitcase is largely known only to those who had the opportunity to see it when first aired, television historians, and connoisseurs of classic British television. This would not be the case for the next British show to debut on an American broadcast network in the 1967-1968 season. In fact, it would become one of the most famous British television shows of all time. The Prisoner was created by Patrick McGoohan, at that point best known for playing John Drake in Danger Man (the hour long version of which aired in the United States under the title Secret Agent). While The Prisoner should probably not be considered a follow up to Danger Man (more on that later), its origins can be traced back to that show. Quite simply, the very first episode of Danger Man, "View from the Villa", was shot at Portmeirion, Gwynedd, Wales. In "View from the Villa" Portmeirion stood in for an Italian village. Portmeirion would also have a significant role in the 36th episode of Danger Man, "Under the Lake", in which it appeared as a German village. Portmeirion appeared briefly in four other episodes of the first series of Danger Man as well. 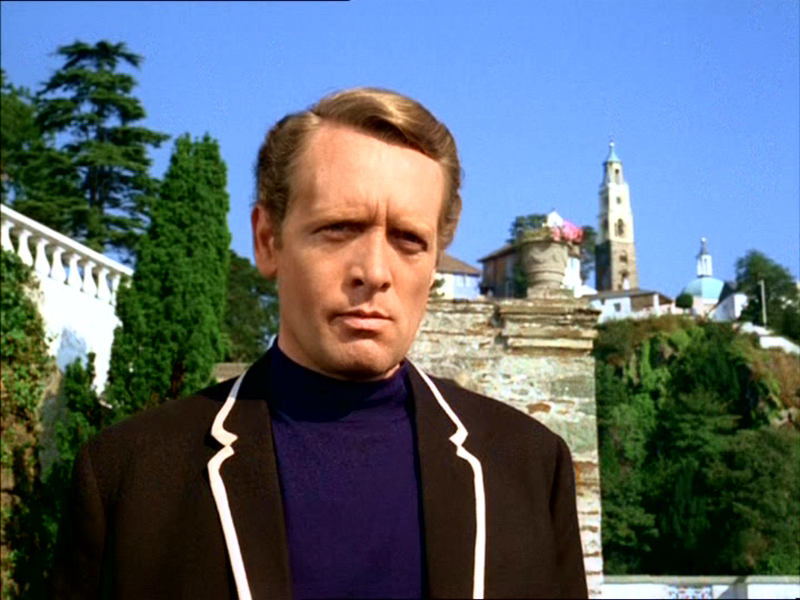 In a 1977 interview with Canadian journalist Warner Troyer, Patrick McGoohan said that The Prisoner, "...initially came to me on one of the locations on Secret Agent when we went to this place called Portmeirion, where a great deal of it was shot, and I thought it was an extraordinary place, architecturally and atmosphere-wise, and should be used for something and that was two years before the concept came to me." Portmeirion would serve as "the Village" on The Prisoner. The ideas that would form the basis of The Prisoner appear to have come to Patrick McGoohan over time. In an interview in the October 9-October 15 1965 issue of TV Times Patrick McGoohan said, "You know, I fear by A.D. 2000 we'll all have numbers, no names." The article also says, "Just now his imagination has been caught up with the idea of a film of life in A.D. 2000; of the day when workmen 'will be able to operate their lathes by push-button from their beds. How are we going to educate people for an abundance of leisure like that?'" In particular, the replacement of names with numbers would form the basis for much of The Prisoner. Regardless, it was in April 1966 that it was announced that Patrick McGoohan was working on a new series. In the April 16 1966 issue of The Daily Express there was an article in which it was announced that "Now McGoohan has put up a new TV idea to ATV's managing director Lew Grade." Lord Grade said, "It is another adventure series but a very different sort of character. It promises to be very exciting. Lord Grade said: Mr. McGoohan is coming to see me tomorrow to discuss the details." Patrick McGoohan went to that meeting with Lord Lew Grade with a format for The Prisoner, as well as photographs of "the Village". According to later accounts from Mr. McGoohan, Lord Grade did not read the format. Instead Mr. McGoohan talked to Lord Grade for ten minutes, after which Lord Grade gave the go ahead for The Prisoner. According to Lord Lew Grade in his autobiography he later met with William S. Paley, founder and chief executive of CBS, regarding The Prisoner. From the beginning The Prisoner was intended to be what would later be called a "mini-series" or a "limited series". That having been said, there is some question as to how many episodes were initially planned to be made. In a July 1966 article by Robert Musel published in the Los Angeles Times, Patrick McGoohan was quoted as saying that there would be a minimum of 13 episodes and a maximum of 30 episodes. An August 1967 article by Dorothy Manners published in The Washington Post reported that CBS had wanted Patrick McGoohan to produce 36 episodes, but he would only agree to 17 episodes. According to Mr. McGoohan in the 1977 interview with Canadian journalist Warner Troyer, he had only wanted to produce seven episodes of The Prisoner, but Lord Lew Grade maintained he could not make a sale to CBS unless he had 26 episodes. Patrick McGoohan thought that 26 episodes would be spreading it thin. Patrick McGoohan was able to develop 17 stories, and in the end the series would last for 17 episodes. The Prisoner centred on a British intelligence agent who had resigned, and afterwards found himself abducted and sent to a mysterious place called the Village. In the Village individuals are assigned numbers that they use in lieu of their names; the British intelligence agent is designated "Number Six". Escape from the Village is not permitted, and is often prevented by balloon-like creations called "Rovers". Throughout the series the administrators of the Village try a variety of methods to extract information from Number Six. The series combined elements of spy drama, psychological drama, allegory, and science fiction. It has been assumed by many that John Drake of Danger Man and Number Six of The Prisoner are the same character. That having been said, there is a good deal of evidence to suggest that this is not the case. In the above cited April 1966 Daily Express article Lord Lew Grade said that the new series would have "... a very different sort of character." In the above cited July 1966 Los Angeles Times article, Patrick McGoohan said, "John Drake of 'Secret Agent' is gone, but we're not foolish enough to try to change the image we have established with TV." In a 1985 interview with Barrington Calia published in the Fall–Summer issue of New Video, Patrick McGoohan said that Number Six was not the same character as John Drake, and he had even considered having a different actor play the role of Number Six. From articles both before and during the broadcast of The Prisoner, as well as remarks made later by Patrick McGoohan, it would appear that The Prisoner was not meant to be a follow up to Danger Man and Number Six was not supposed to be John Drake. The Prisoner debuted in the United Kingdom on ITV on September 29 1967. The series proved very popular in the United Kingdom. That having been said, many viewers were unhappy with the final episode "Fall Out". Rather than a climax one might see in a Bond film or another spy drama, "Fall Out" was instead one of the most surreal episodes of any show on television. The episode's ambiguity caused a great deal of controversy when it first aired in the United Kingdom, with both viewers and critics unhappy with the episode. Reportedly, Patrick McGoohan even had to go into hiding for a few days. The Prisoner debuted in the United States on CBS on June 1 1968. Although at the time it was widely reported in the press that CBS would air all 17 episodes, the network ultimately aired only 16. The reasons for CBS's alleged objections to "Living in Harmony" have varied from the use of a mind altering drug to what could be perceived as the episode's anti-war sentiment. According to Moor Larkin on the blog Number Six was Innocent, it seems more likely that the omission of "Living in Harmony" was simply due to the fact that the episode set to air on CBS on June 8 1968 was pre-empted by coverage of Robert Kennedy's funeral. To stay on schedule, then, CBS could only air 16 episodes. "Living in Harmony" was then most likely dropped because it played out as a Western and even lacked the show's usual opening sequence. Moor Larkin points out that at the time there was no mention in the press that CBS had censored one of the 17 episodes of The Prisoner. Regardless, The Prisoner was very well received in the United States. CBS reran the series in the summer of 1969. The Prisoner would not be the only British show to air on an American broadcast network in the summer of 1968. In fact, The Champions would be the last new spy series to debut on an American network in the Sixties. The Champions was created by Monty Berman (who helped bring The Baron to the small screen) and Dennis Spooner (co-creator of Man in a Suitcase). The series centred on three agents for the international law enforcement agency called Nemesis, Craig Stirling the cryptographer, Richard Barrett the pilot, and Sharron Macready the doctor, whose plane crashes in the Himalayas. The trio are rescued by a mysterious civilisation and given such abilities as superstrength, telepathy, and heightened senses. Their head at Nemesis, Tremayne (Anthony Nicholls) remained unaware of his agents' new-found abilities. Lord Lew Grade obtained funding for the series from NBC in the United States. It is for that reason that Stuart Damon, who had guest starred on Naked City, Man in a Suitcase, and The Saint, was cast as Craig Stirling. Ian McShane tried out for the role of Richard Barrett, but the part ultimately went to William Gaunt, who had starred in the Victorian police drama Sgt. Cork. For the role of Sharron Macready several actresses were considered, including Ilona Rogers (who had guest starred on both Doctor Who and The Avengers) and Annette Andre (who guest starred on The Avengers and The Prisoner and would go onto to be a regular on Randall and Hopkirk (Deceased). Alexandra Bastedo would be cast in the role after director and creative consultant Cyril Frankel found her in a European advertising campaign. The Champions would debut in the United States before it debuted in the United Kingdom. It debuted on NBC on June 10 1968. It would not debut in the United Kingdom until September 25 1968, and then only in London. It would not air throughout Britain until November 1968. The Champions proved very popular in the United Kingdom, and even around the world. It would ultimately air in 60 different countries. Unfortunately, it performed poorly in the ratings in the United States so that NBC cancelled the series. Since The Champions needed funding from the United States to survive, it ended after thirty episodes. The next British show to debut on an American broadcast network would be very different from the majority of British shows that aired on American television in the Sixties. The vast majority of British shows that had aired on the American networks throughout the decades had been adventure shows of some sort. Journey to the Unknown was not only a horror, fantasy, and science fiction show, but it was also an anthology show. It was also the first television series ever produced by Hammer Films, the British studio best known for their horror movies. In many respects Journey to the Unknown was a Transatlantic production. While it was produced by Hammer Films, it was distributed by 20th Century Fox and shot at MGM British Studios in Borehamwood, Hertfordshire. Its executive producers already had considerable experience with anthology shows. Both Joan Harrison and Norman Lloyd had worked as producers on Alfred Hitchcock Presents. The line producer on Journey to the Unknown was Anthony Hinds, who had served as the producer on such classic Hammer films as The Curse of Frankenstein (1957), Dracula (1958), The Kiss of the Vampire (1963), and others. It would be his last work with Hammer Films. Like many British shows produced with an eye on the American market, Journey to the Unknown utilised both British and American actors. Among the British actors to guest star on the show were Jane Asher, Edward Fox, Michael Gough, Barbara Jefford, Bernard Lee, Justine Lord, Sue Lloyd, and Roddy McDowall. Among the American actors who appeared on the show were Joseph Cotten, Patty Duke, Brandon De Wilde, Chad Everett, Julie Harris, Carol Lynley, Vera Miles, and Stefanie Powers. Directors on the show included Don Chaffey, Michael Lindsay-Hogg, and Robert Stevens. 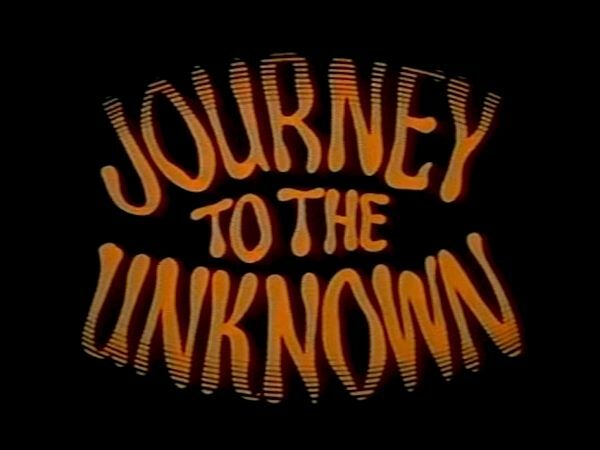 Journey to the Unknown debuted in the United States before it did the United Kingdom. In the United States it debuted on ABC on September 26 1968. In the United Kingdom its air dates varied according to region. The earliest it aired appears to have been on November 16 1968 on London Weekend Television. It would not air on ATV Midlands until June 23, 1969. Unfortunately, Journey to the Unknown would not prove be a success. It aired against CBS Thursday Night Movies on CBS and Dragnet 1969 and the first half of The Dean Martin Show on NBC. ABC cancelled Journey to the Unknown at mid-season. Strangely enough, Journey to the Unknown would be replaced by another British show, although this show would also be very different from all of the British shows that had aired in the United States in the Sixties. 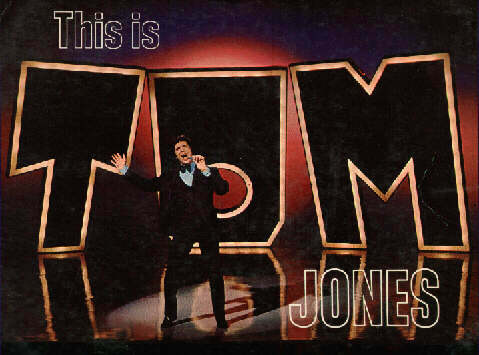 This is Tom Jones was a variety show starring Welsh singer Tom Jones. Tom Jones had already had a string of hits in the Sixties, including "It's Not Unusual", "What's New Pussycat", and "Delilah". This is Tom Jones featured big names guests, including Peter Sellers, The Moody Blues, Davy Jones of The Monkees, Terry-Thomas, Shirley Jones, The Dave Clark Five, Barbara Eden, and many others. This is Tom Jones was produced by Lord Lew Grade's company ITC. Episodes were shot in both Los Angeles and London. This is Tom Jones aired on American television before it did in the United Kingdom. It debuted in the United States on ABC on January 9 1969. It debuted in the United Kingdom only a few days later, on ATV Midlands on January 12 1969. This is Tom Jones proved somewhat successful. It was nominated for Emmys for Outstanding Achievement in Music Direction of a Variety, Musical or Dramatic Programme and Outstanding Achievement in Makeup in 1970, and won the Emmy for Outstanding Achievement in Choreography. Ultimately it ran for three seasons and 65 episodes. In many respects the 1968-1969 season can be considered the end of an era for British shows. In fact, it was that year that both The Avengers and The Saint, the two most popular British shows to air in the United States in the Sixties, would end their runs. At the same time the number of British shows airing in any given season on the broadcast networks had declined from what it had been in the 1965-1966 season. While the next few seasons would see a few British shows air on the American broadcast networks, there were not nearly as many as there once were. The early Seventies would see the end of British shows regularly airing on the American broadcast networks.